It is the number one piece of advice spelled out to students by university lecturers all over the country – “You need to get experience”. In some degrees it is a necessary component of the course and in others degrees it is all up to the student. However no matter whom you talk to – work experience is vital and you need to do it! But why? 1. Work experience helps to build essential skills and knowledge – There is only so much that you can learn sitting in a classroom and listening to a teacher. The rest needs to be learned in a practical environment. This is where work experience comes into play. Work experience combines the theory that you learn in class with the practical skills that you will need in the work force. Not everything can be learned from a textbook and work experience is perfect in teaching you skills and knowledge you need to know when entering the work force. You might even be able to find experience that contributes to the causes you care about and teaches you important skills. 2. Test drive your career choice – Work experience and internships are the ideal environment to test drive your career and see if you really enjoy it. This is especially important while you are still a student with the opportunity to swap and change directions. If you are lucky, then you will thoroughly enjoy your experience and be inspired to carry on in your current degree. However if it does turn out that your current degree and career choice just isn’t for you, well then at least you found out sooner than later and it is never too late to change directions! This is also why it is so important to work on projects that you are invested in – it is hard to hate your career when you are passionate about the cause! 3. Strengthen your networks – “It is not what you know, it is who you know”. A very popular phrase mostly muttered by people struggling to find a job. Nonetheless, it is still true! But just because you don’t know anyone yet doesn’t mean that you won’t have the opportunity. Work experience and internships are the perfect environment to mingle with people in your industry. So get to know the people you are working with and make sure they know you. If you are interested in a particular area or passionate about a specific cause then volunteer work is the ideal way to meet people in that area and get your foot in the door. If you play your cards right you might end up with a wonderful reference or even your dream job! 4. Increases confidence – Starting your first job straight out of university can be a daunting experience. Not only are you the new kid on the block but you probably have little experience and almost no idea what you are actually supposed to do. Work experience helps minimise the stress of a new working environment. It is common sense – the more experience you have, the more confident you will feel in doing your job. This doesn’t mean that you will know everything, but at the very least, you will have had experience working in a professional setting and have the confidence to ask for help or assistance. 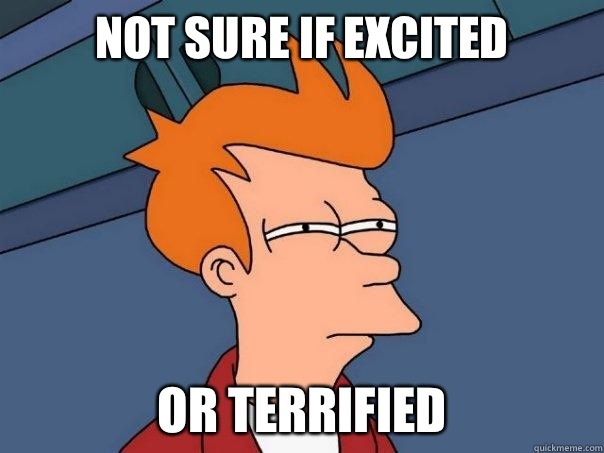 Even starting a new internship can be nerve-wracking but can be made easier when it is in a community environment. 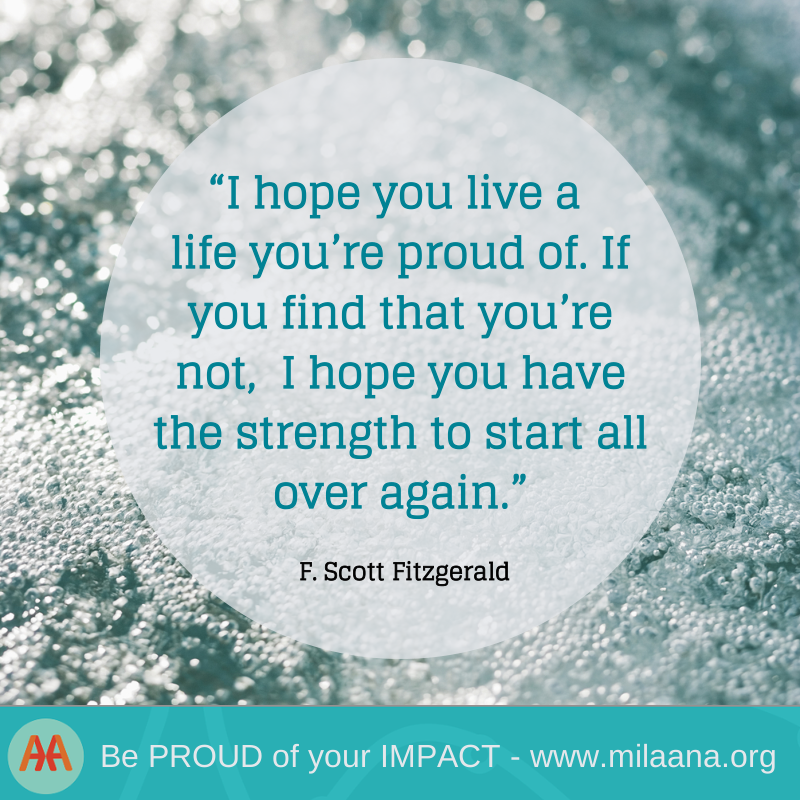 Nerves naturally slip away when you are inspired by the cause. 5. Gain a competitive advantage – Not to scare you but youth unemployment is on the rise in Australia. Youth unemployment currently represents almost 40% of all unemployment. That means more than one in three unemployed Australians is between the ages of 15 and 24. Therefore the job market is increasingly competitive and young Australians really need to stand out to employers. Work experience displays a number of traits that are very important to employers when hiring staff. Not only does work experience mean that you have an understanding of the knowledge and skills required in your profession but it also shows that you have initiative and a wide range of soft skills that are as equally important as technical skills. 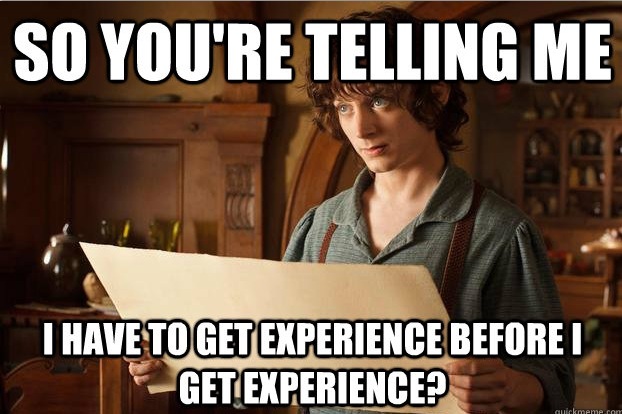 Having work experience might just be the difference between getting the job or not. 6. You know your energy and time is contributing to community benefit through a cause that you believe in – There is no better benefit than knowing that you have used your own skills and knowledge to help other people. If you are passionate about something, help to make a difference and be the change! So now we know why experience is so important, how do you know that the experience you are getting is truly valuable? Now last of all, while gaining experience is so important you also need to make sure that you are not being exploited. Work experience and internships are often unpaid so you must be sure to set limits. After all, you still have a life and you can’t do everything! We don’t want to see a whole ‘The Devil Wears Prada’ scenario. Good experience happens when you feel comfortable with the people you are working with and if you have any concerns make sure you voice them. Most people have a gut feeling if they are being exploited so just use your intuition and stand up for yourself if necessary. From a legal perspective, work experience needs to be set out so that the student receives the main benefit from the relationship. For example, Milaana’s short term, learning oriented, cause-driven projects are structured to ensure it provides high level of value to students. Is this the case in your situation? 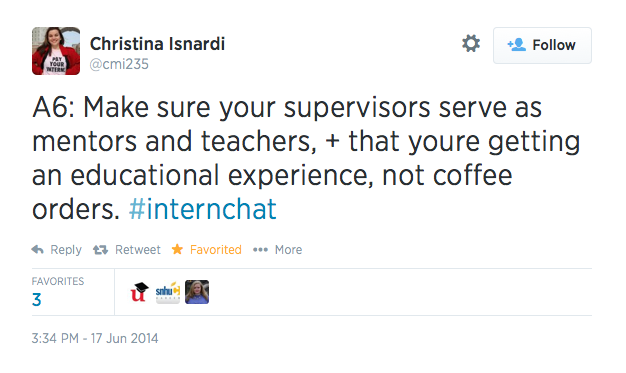 Work experience and internships should be challenging and rewarding. We wish you the best of luck in finding valuable experience and would love to hear your stories. If there is anything that we have missed in this article then please let us know in the comments below. Is there anything else you would like to know? Anything you would like to add? Hello im interested in work with us!! How can i do? Im from Argentina im 29 ages! If You can send me more information. Hi Daiana! Thanks for getting in touch! Where are you based? Our current Milaana opportunities can be found at https://www.milaana.org/organisations/2 but if you don’t find something there, email me with what you are looking for and what you can bring to Milaana 🙂 Looking forward to hearing from you!